Whistleblowing has never been closer to the top of the news agenda. As the headlines shift from one scandal to the next, we learn that the story only broke because of a whistleblower (phone-hacking), or that the wrongdoing would have been stopped earlier had whistleblowers had better protection (Savile). Whistleblowers in the UK are protected against being victimised at work by the Public Interest Disclosure Act 1998 (“PIDA”) which inserted new provisions into the Employment Rights Act 1996 (“ERA”). The core concept underpinning the protection is the “protected disclosure” i.e. the transmission of information which amounts to blowing the whistle. This is ordinarily made to the worker’s employer, but a protected disclosure may be made to a third party e.g. a newspaper. It is unlawful to subject a worker to a detriment on the ground that he has made a protected disclosure. Where the reason or principal reason for a worker’s dismissal is that he has made a protected disclosure, the dismissal is automatically unfair. PIDA claims are brought in the employment tribunals. More than 2,000 such claims are now made every year. Some 80% of these are settled pre-hearing. Experience shows that many employers are very worried about the reputational risk associated with whistleblowing claims. This risk is at least as great a factor in determining whether or not to settle as the inherent merits of the case. It is easier to understand the reputational risk when one considers that the claimant does not have to prove that the protected disclosure was true, only that he reasonably believed it to reveal one of 6 species of wrongdoing (e.g. commission of a criminal offence, a breach of legal obligation). 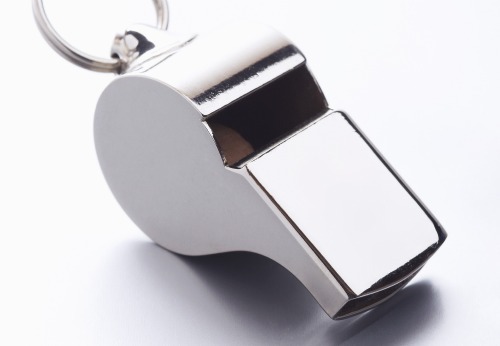 It is no surprise to see that with so many whistleblowing claims settling, employers are keen to keep the settlements and the underlying whistleblowing confidential. But how far are employers able to do so? The issue has been thrown into sharp relief recently when a high-profile whistleblower breached a confidentiality clause in his settlement agreement. Gary Walker is the former Chief Executive of the United Lincolnshire NHS Trust. He brought a whistleblowing claim and the matter was settled, subject to a confidentiality clause. It appears that the clause purported to prohibit him from discussing either the settlement itself or the underlying employment. The publication of the Francis Report on 6 February 2013 apparently prompted Mr Walker to go public about safety concerns in Lincolnshire and the circumstances of his dismissal in 2010. Mr Walker’s contacts with the press were widely publicised, as was the threat by the Trust’s lawyers to take steps to recover all the moneys paid to Mr Walker under the settlement agreement. Some reports have stated that this was some £500,000. The Trust’s threats have invited plenty of criticism. It is said that Mr Walker should be free to speak about matters that are in the public interest without being inhibited by the fear that he may be injuncted from, or penalised for, doing so. Given the sensitivity of the subject-matter i.e. patient safety, it is not difficult to see why public sentiment is firmly behind Mr Walker. The public interest in a safe NHS demands that anyone with relevant information on the NHS should be permitted to disseminate that information. But there is another public interest that receives less attention here: the public interest in the resolution of disputes. If confidentiality agreements are an important part of the settlement of whistleblowing claims, then shouldn’t the claimant who has agreed to keep matters confidential be required to stick to his side of the bargain, particularly if he has been paid a significant sum to do so? (2) This section applies to any agreement between a worker and his employer (whether a worker’s contract or not), including an agreement to refrain from instituting or continuing any proceedings under this Act or any proceedings for breach of contract. So, a confidentiality clause preventing a worker from talking about the protected disclosures that he made during his employment, is void. Whatever the public interest in resolution of disputes, the public interest in the receipt of information is deemed to be pre-eminent. But as the Walker case illustrates, confidentiality clauses in whistleblowing claims are commonplace. Why do employers enter into agreements which are, or may be, void? There are a number of reasons. First, section 43J has never been tested in the courts and its ambit is unclear. What sort of confidentiality clause “purports to preclude the worker from making a protected disclosure”? Does an ordinary confidentiality clause, prohibiting the worker from talking about his employment, trigger s.43J? Or must the clause specify the particular types of wrongdoing about which the worker is not allowed to speak? Second, the existence of s.43J is not appreciated by a significant number of practitioners. It is important to note that s.43J applies to all agreements between a worker and an employer: not just employment tribunal claims, and not just whistleblowing claims. Third, there is often a significant financial incentive to keeping quiet. Confidentiality clauses are rarely volunteered by workers: they are bought. Speaking to the press raises the risk of being asked to repay the monies paid under the settlement agreement. But can it be right that someone in Mr Walker’s position could be required to repay all the settlement sums? After all, in the usual case, the settlement sum is consideration for much more than confidentiality: most obviously, it is payment for the relinquishment of legal claims against the employer. Why should the entire sum be repaid? Where an employer pays a single unapportioned sum to settle the worker’s claims and secure confidentiality, then I consider it unlikely that any part of that sum would be recoverable in the event that the worker broke his gag. The gag would be held void and a court would regard the monies paid as referable to the relinquishment of the worker’s claims and not to confidentiality. In order to best protect themselves, employers should identify a particular sum of money paid in respect of confidentiality, so that in the event of a breach of confidentiality that specific sum could be recovered. But even then the matter is not simple, because an unrealistically high sum might be vulnerable to the rule against penalty clauses. The trick, then, is for the employer to identify a sum of money referable to confidentiality which is high enough to disincentivise the worker from speaking out but not so high as to appear disproportionate to the loss that the employer might suffer from a breach of confidentiality. Easier said than done. James Laddie QC is a barrister at Matrix and a trustee of the whistleblowing charity, Public Concern at Work. This post raises a very interesting set of issues. To broaden the focus somewhat, it should be noted that the use of confidentiality clauses is not limited to employment settlements. A public inquiry in Northern Ireland into the deaths of a number of children in hospitals highlighted recently that they have been used in settlement agreements in medical negligence claims, and this in a context of profound public interest. Notably, the PIDA regime doesn’t apply outside of the employment context. When dealing with sources made subject to confidentiality clauses, journalists will generally indicate that the clause is no constraint if there is a matter of public interest to be aired (for the reasons outlined here). Hence, the question ‘worth the paper…’ is well put. There is still a real problem from the perspective of the wider public however (accepting that in many cases there is no pressing public interest dimension). Where there is a significant public interest dimension, if the person made subject to the clause doesn’t realise that they are not legally restricted and are fearful of speaking out, or if they are simply happy with the settlement, then the wider public interest in this specific settlement goes begging. Even if it is agreed that strictly speaking the clauses are ineffectual from a legal standpoint, their use will still be effective in preventing the airing of important problems. Journalists and (hence) others won’t get to hear of the core problem. There will be no source. Under the PIDA regime (for employment cases) and breach of confidence generally, and perhaps under human rights/administrative law and contract law, the use of confidentiality clauses in public interest cases for purposes of reputation management/avoidance of embarassment (by public authorities at least) is questionable practice. Yet this is all going on in the shadow of the law. It may be that some other form of regulatory oversight is required to address the issue. This is one issue among others that is to be addressed in a public panel discussion on the interplay between journalism and the state at the Polis journalism conference at the LSE on the morning of 5th April, and at an invitation-only workshop run by the LSE Media Policy Project on the same day. Other themes include the interface between the police and journalism in the context of the Home Office consultation on reform of PACE. Anyone interested in attending the workshop should contact Sally Broughton-Micova (S.E.Broughton-Micova@lse.ac.uk) to express an interest, although please note that spaces are very limited. As a lay member of the public, it seems to me that the NHS is run by paid employees on our behalf, and none of them has the right to withhold any information relating to performance of a hospital or trust. The trust is only a paper construct…. If the managers feel there is something worth hiding, it indicates they have failed in their job, and those managers should be held to account and possibly sacked. Regarding private employers… the money laundering regulations make it an offence to benefit from a crime, so if an employer/company received a benefit from doing something illegal, hiding that illegality is itself a criminal act. The statute renders void clauses that purport to preclude the making of protected disclosures, not clauses prohibiting talking about protected disclosures already made. Second, apportioning a sum to a confidentiality clause is unlikely to render it recoverable unless that clause is specific and limited to protected disclosures. Section 43J states “is void in so far as”. Thus, a general confidentiality clause would not be breached by the making of a protected disclosure, and the apportioned amount would be attributed to other aspects of confidentiality.